Whether the sparks are literally flying from your welding project, or only metaphorically flying from the sweet beats you’re laying down in your recording studio, there’s a peel-and-stick soundproof acoustic foam for you. 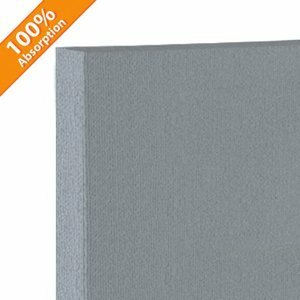 Acoustical foam is an easy-to-install, sound dampening insulation that absorbs multi-frequency noise, minimizes reverberation, improves acoustics, and keeps sound from escaping the enclosed area. Acoustic soundproof foam prevents soundwaves from reflecting off of hard surfaces, like ceilings and walls. Instead, it absorbs the waves. The result is a smooth, quiet and calm environment. Though not completely soundproof, noise-dampening foam allows you to enjoy many activities in residential and commercial spaces that wouldn’t be possible otherwise. Compared to alternative methods for soundproofing, using sound absorbing foam is fast and easy to install. If the budget is tight this solution is for you. You can also use acoustic soundproof foam to reduce noises from outside sources from seeping into your home. We will help design the best configuration to block control those sound waves and regain a peaceful environment. Likewise, you can use our products to prevent your teenager’s new band from becoming a neighborhood nuisance. Commercial installations are endless. Acoustic foams are easy to change depending on your needs. Use them to contain noise from a workshop or garage or to dampen interruptions caused by loud or rattling equipment. Whether you are a contractor, architect or simply a homeowner looking for a handy solution to a noise problem, you can count on Soundproof Cow. We have all of the supplies needed to minimize noise in and around your property. Acoustic foam panels provide affordable insulation and noise control suited to many environments. Our products are UL94HF1 fire rated for use in high-temperature conditions. We have units coated in Mylar and Aluminum for increased strength and resistance. We also have colorful panels designed to add a quirky, unique look to your locations. Use them as décor that pulls double-duty as wall art and soundproofing materials. Choose between Charcoal, Chocolate, Aqua and Pumpkin for acoustic foam panels that are both effective and fun. All of our panels provide you with noise control, as well as protection against drafts, heat and humidity. Of course, one of the biggest benefits of our acoustic foam products is the ease of putting them to work. 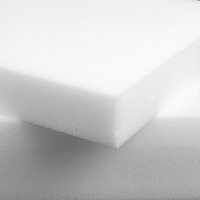 Almost anyone can put our foam in place, and you won’t need to completely remodel your space in the event your soundproofing methods need to be removed. We are here to help. 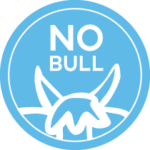 From determining the best material to placement in your space, you can count on Soundproof Cow — we won’t steer your wrong! Building professionals and homeowners alike look to sound dampening foam for solutions, though the problems they’re solving may differ considerably. For instance, renters may want to block noise from inconsiderate neighbors, and a home building may need sound insulation foam to prevent echo in a media room. Whether you’re working with an engineer in designing the perfect space or you’re handling your renovations solo, speak with our experts about the best options for your project. Our team isn’t afraid of getting technical, and the information we can provide goes a long way toward maximizing your investment. For a low-budget recording studio that is big on sound but small on echo, we recommend trying our “egg crate”-style Convoluted Acoustic Foam Panel. Or, to soundproof an area like a hospital server room where fire regulations are strict and high heat is a concern, our Class A™ Acoustic Foam Panel can be an excellent no-construction-needed solution. Gun ranges, engine compartments, compressor enclosures, manufacturing facilities. At Soundproof Cow, we understand acoustics can get confusing. That’s why we’ve developed an online guide to help you from product selection through installation. Even then, if you’re confused, don’t hesitate to contact us for help. We offer FREE acoustic analysis and will work hard to answer all of your questions in a way that you will understand. Placement and selection of acoustic sound panels and batting varies greatly with each situation. We carry a variety of high-quality options, so you can solve your sound issues and keep the aesthetics you desire. You’ll even find products suitable for temporary sound issues. Limiting noise from construction or creating better quality sound during speaking events. We have the knowledge you need to sufficiently outfit any space and the high-quality supplies you need to make those plans work. At Soundproof Cow, we’re so confident in the capabilities of our products and staff that we offer our a 100% customer satisfaction guarantee. We strive to ensure your sound issues are solved correctly the first time around. If there’s ever a problem, we make it our top priority to work with you until we find a solution. You just can’t find a comparable company in the industry. Take advantage of our affordable costs, user-friendly acoustic applications and our steadfast commitment to your satisfaction. Contact us online today to request a FREE acoustic analysis or to ask questions about our products. Get mooo-ving in the right direction with Soundproof Cow!